TMAC Resources (TSX:TMR) has officially kicked off commercial production at its Doris gold mine and mill at the Hope Bay project in Canada’s far north, which has now become Nunavut’s second operating gold mine and the first one ever in the western area of the Territory. 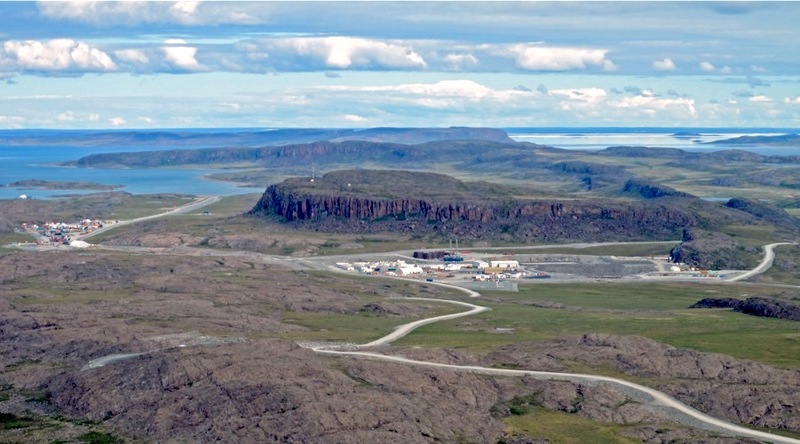 The explorer, which poured its first gold bar at the mine in February, is celebrating the ramp up toward full production by flying around fifty people, including Inuit landowners and mining executives, to the remote site for a ceremony and tour, CBC News reports. TMAC Resources acquired the project from Hope Bay Mining, a wholly-owned subsidiary of Newmont Mining, in 2013. TMAC Resources acquired the project from Hope Bay Mining, a wholly-owned subsidiary of Newmont Mining, in March 2013. Since then, the Toronto-based miner has been pushing hard to get the mine into production. One of the project latest milestones was securing a water licence for bulk sampling, or test mining, at the Madrid north and south deposits of Doris North mine, from the Nunavut Impact Review Board and the Nunavut Water Board. The path hasn’t been that easy for Sabina Gold and Silver Corp. (TSX:SBB), which also hopes to open a mine in the area. Its Back River project, in the western Kitikmeot Region of Nunavut, has faced opposition from locals who claim industrial development on caribou populations grounds, should not be allowed. TMAC Resources’s mine, in contrast, is seen as a positive development. Not only it may be worth millions to the Kitikmeot Inuit Association — the group gets 1% royalty payments from all gold sold —, but it also employs dozens of locals. The Inuit also own 1.4% of TMAC Resources, which plans to begin production at its other two properties — Madrid and Boston — n 2020 and 2022, respectively. The Hope Bay project has proven and probable reserves of 14.2 million tonnes grading 7.7 g/t gold or approximately 3.5 million ounces of the precious metal.